Palm oil is pressed from the pulp of the oil palm, Elaeis guineensis. Palm oil is used in a variety of food products, primarily margarine, shortening and vegetable cooking oil. Palm oil is used as a replacement for cocoa butter and butter fat. It is stable at the temperatures used in deep frying, and often used for dried foods. 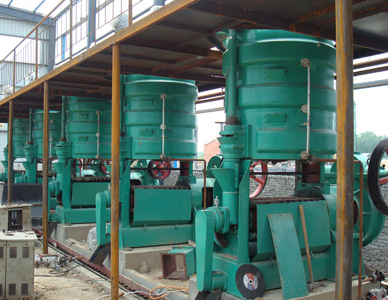 To get palm oil, palm oil processing plants mainly includes palm oil pressing machine and palm oil extractor. Palm oil pressing machine presses palm oil from oil palm under high pressure and strong frication. After the well prepared oil palms are put into the feeder of palm oil pressing machine, they fall down into the pressing barrel, where a screw worm moves to advance and press palm oil. Meanwhile, the temperature in the pressing barrel rises, which in turn makes palm oil yield increase. Then fresh palm oil seeps out through the small openings of the bottom of the pressing barrel, where the palm oil cake cannot pass through, thus separating palm oil from oil cake. The palm oil cake can be used to extract for the maximum amount of palm oil with the help of palm oil extractor and hexane solvent. Palm oil extractor works on the principle of counter current and moving bed with variable bed height and different speed mechanism. As the palm oil extractor works, the palm oil cake is transported through the solvent spraying chamber and the transporting speed can be varied easily to ensure sufficient time for penetration and percolation of hexane solvent into oil palms. 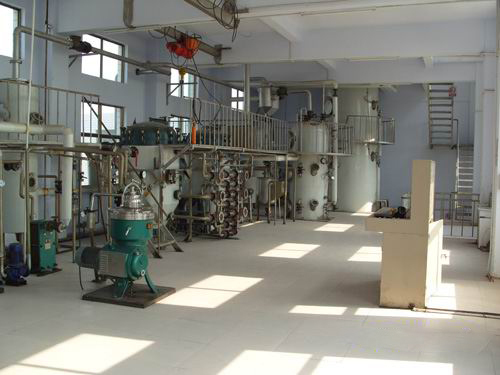 Then the distillation takes place in vacuum, and the maximum amount of extracted palm oil is collected by vaporizing hexane solvent out for recovery. In a word, palm oil processing plants are indispensable for getting palm oil.